Home » Randstad Sourceright Insights » Spend Matters: HR tech, talent strategy needed for business growth. The world of talent acquisition is in the midst of a true transformation. The C-suite sees talent as the key to creating value across the enterprise, and looks to its talent leaders to deliver insights that help shape business decisions. As a result, HR is facing greater visibility and accountability, but also new opportunities to make a business impact with their people and HR tech strategies. You can read more about workforce transformation in Spend Matters. 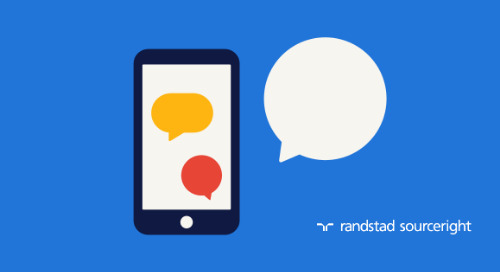 Then, learn more about these trends in Randstad Sourceright’s 2019 Talent Trends Report.